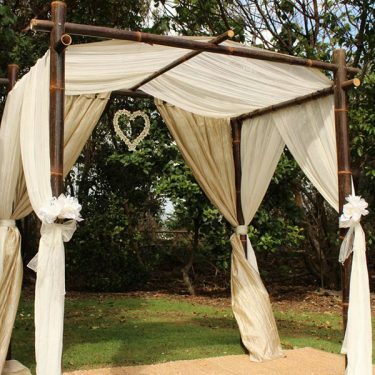 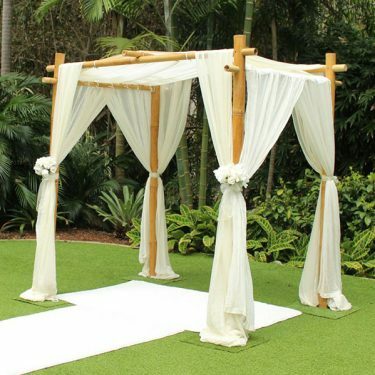 Our single arches look lovely as a frame for your wedding and are so easy to put together. 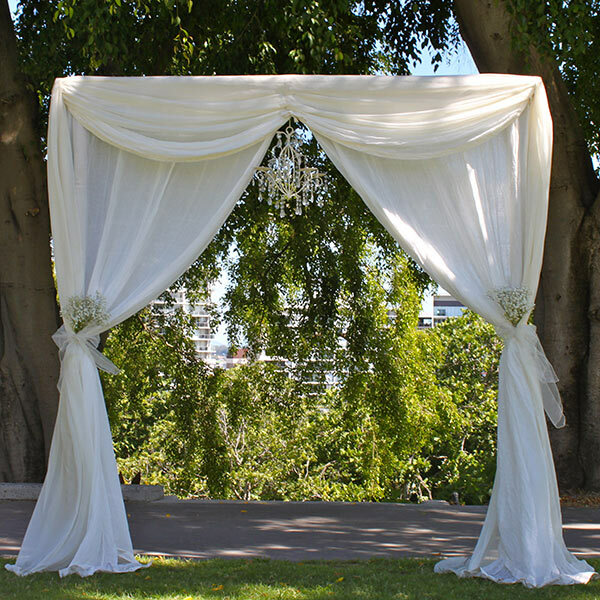 They stand 2.3 metres high and come complete with custom made draping & 2 metal base plates to stand the arch on. 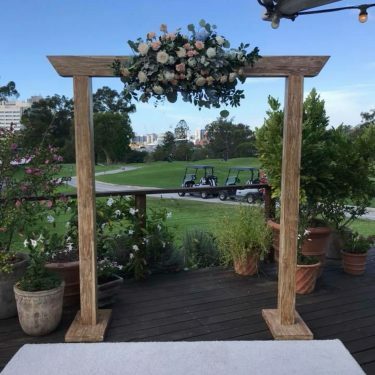 The arch comes flat packed in a case and is 2.3m in length.